On July 5th, 1882, in Baroda, India, Inayat Khan was born into one of the most musical families in the country. Inayat's grandfather, Maula Bakhsh, known as the 'Beethoven of India,' had become a master of the music of both North and South India and settled in Baroda where he founded 'Gayanshala,' the first musical academy of its kind in India. Maula Bakhsh drew about him many people of culture and refinement. Inayat quickly showed great musical talent, and before he was twenty he was singing and playing the vina in the courts of royalty all over the subcontinent. Indeed, from a set of recordings Inayat made at the age of 27, modern musicologists are able to say that his vocal skill and musical understanding remain unequalled to this day. Called to something beyond worldly success, however, he at last met his Murshid, Abu Haimages/shim Sayed Madani and entered the Sufi path. On September 13th, 1910, destiny brought Inayat "from the world of lyric and poetry to the world of industry and commerce," to fulfill the last words of his Murshid, "Fare forth into the world, my child, and harmonize the East and West with the harmony of thy music. Spread the wisdom of Sufism abroad, for to this end art thou gifted by Allah, the most Merciful and Compassionate. "Companions on that journey were his brothers, Maheboob Khan and Ali Khan, who left auspicious careers in India to share his hardships and his work. Within a year they were joined by Inayat's youngest brother, Musharaff Khan. "In spite of the vast difference of race and nationality and custom she proved to be a friend through joy and sorrow, proving the idea, which I always believed, that outer differences do not matter when the spirit is in at-one-ment." Their first child Noorunnisa, pictured below with Inayat, was born in 1914 in Russia. In young adulthood, Noorunnisa became an heroic figure. As a British Special Operations agent during World War II, she was the first female radio operator sent into France to aid the French Resistance. She did not survive the war. The family, now including Vilayat, born in 1916; Hidayat, born in 1917; and Khairunnisa, born in 1919, was living in England when World War I began and sheltered there for the duration of the war. In 1926, Inayat returned for a visit to India, leaving his family in the West. After a brief illness, he passed away at the young age of 44, in New Delhi on February 5th, 1927. His dargah, or tomb, in New Delhi, India, is now a place of pilgrimage for Sufis from all over the world. Below is a video of Pir Shabda Khan leading mostly American followers in zikhr at the dargah of Hazrat Inayat Khan in 2007. Some organizational uncertainty ensued in the years after Hazrat Inayat Khan's untimely death. Inayat Khan had two sons, Vilayat and Hidayat, who were still boys at the time of their father's passing. Eventually, each son established their own orders to spread their father's message. Murshid Samuel Lewis was affiliated with Pir Vilayat in the 1960s, until differences in approach led to a split in their activities. Upon the passing of Pir Vilayat, Zia Inayat Khan, the son of Pir Vilayat and Taj Inayat, assumed leadership of the Sufi Order International started by his father. Pir Hidayat continues as the head of the International Sufi Movement, with Murshida Rabia Ana-Perez serving as the ISM's North American representative. Pir Shabda Khan now heads the Sufi Ruhaniat International, the order that emerged from Murshid Sam's work. One positive result from the development of several different Inayati Sufi orders was that each order has had, in often subtle ways, a slightly different slant or emphasis that has perhaps helped the Message spread to a great range of followers. 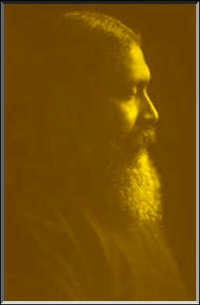 Pir Zia Inayat Khan, of the Sufi Order International. He is the grandson of Hazrat Inayat Khan..
Pir Shabda Kahn, of the Sufi Ruhaniat Interenational, which developed from the founder of the Dances of Universal Peace, Murshid Samuel Lewis. Pir-o-Murshid Hidayat Khan, of the International Sufi Movement. He is the youngest son of Hazrat Inayat Khan. Murshida Rabia Ana Perez-Chisti, of the International Sufi Movement - USA. The development of several different Inayati Sufi orders after Hazrat Inayat Khan's death resulted in orders that each have a slightly different slant or emphasis, while still remaining true to the teachings of Pir-o-Murshid Inayat Khan. This may well have helped the Message spread further and to a greater range of followers. The orders are now in a time of cooperation and collaboration, as evidenced by the Federation of the Sufi Message, established in 1997. 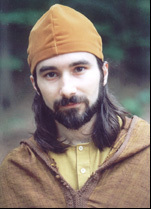 The Federation is an international umbrella organization for all of the Inayati Sufi orders. The purpose of the Federation is to enhance harmony and co-operation among the leaders and mureeds of the Inayati orders, and the Federation's annual retreats are attended by represenatives from all of the orders.